AW LIGHTING SOLUTIONS (AWL) is always the leader in energy savings. We are proud to be an ENERGY STAR® Partner! Our northern☆stars™ LEDs are distinguished as one of the best in performance by meeting IES requirements such as LM-79 and LM-80. LED technology has progressed exponentially in the past few years, offering extremely low cost options, yet as in any technology, many of these low cost options are inferior and of poor quality. Respectable LED providers must work diligently to inform consumers that not all LEDs are created equal. Working in association with our world partners, AW Lighting Solutions develops and manufactures extreme efficiency, highly Luminous LED Solutions. Utilizing precision components, state of the art assembly technology and fastidious quality control testing, we believe AW Lighting products are unparalleled in quality available in the LED market. Customer satisfaction is AWL's number one priority. Our staffs are dedicated to help you find the right solution to your lighting needs. We carry 5 product categories - LED lamps, LED luminaires, Transformers and LED Drivers. In addition, we offer energy saving retrofit kits and many other specialty items. 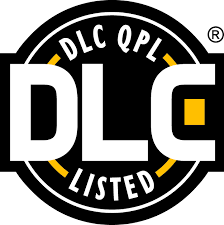 Several AWL products carry the DesignLights Consortium (DLC), Energy Star markings and even more of our innovative product lines will join them. Energy Star is the highest standard in place to observe and analyze the technology itself. That is to say that our products will meet various government incentive programs such as OPA, SaveOnEnergy rebate in Ontario as shown below.